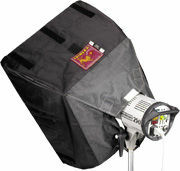 Take control of your lighting with a Chimera soft box! Chimera's Video PRO Banks are the perfect answer for controlled soft lighting on small sets, or for use as a separation light or small fill. These standard-depth banks are extremely light weight and are primarily used with single broad-beamed, open-faced instruments. Now available in 3 strips for a narrower catch light. Video PRO's are the Lightbank of choice for a majority of the Dedicated Speed Rings, and they will fit all of the Circular Speed Rings, from 3 to 9 inches (7.6 to 23 cm) in diameter. Fresnels up to 2000 watts can also be used, especially if diffusion is used in the gel holder to spread the beam. Lightbank sizes range from XXS to large. Size: medium- 36x48 in. , 90x120 cm. 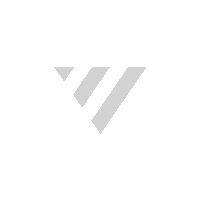 Weight: 2.2 lb., 1.0 kg. Depth: 24 in., 60 cm.